With over thirty five years experience of bespoke case & bag manufacture, we are able to offer a wide range of custom case solutions and are also case interiors specialists for all packaging and presentation problems. From a standard carrying case with foam inserts, presentation cases for promoting products in the field, through to complete bespoke custom transit case specials, manufactured from aluminium, ABS, polypropylene and composite materials to give a lifetime of service. The following pages illustrate a cross section of products that we are able to offer and as case interiors specialists we are able to customise most of them to your specification if required. 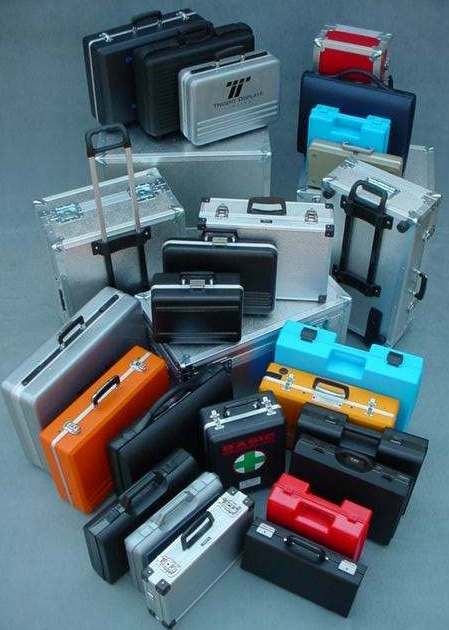 Custom Transit cases, Tool Cases, Moulded cases and Bags can all be tailor made to suit you. Please contact us in Hertfordshire, London, UK, for further information and to speak to a friendly adviser with technical knowledge and experience. Bespoke case manufacturers and case interiors specialists for all your custom transit case needs. In Case Solutions - The ultimate in case solutions.